Hey everyone, AlmightyDuke here! Covering for Rob while he’s at a Red Sox game. Welcome to the Graveyard Shift, the nightly chat space on Talk Amongst Yourselves, Kotaku’s reader-run blog, where you can talk about all the nerd culture you want. Whether you’re a long time TAY member or a newbie trying to say hello, take some time to introduce yourself. Lately, I’ve been trying to get the backlog slimmed down. So far, I’ve downed No Time to Explain, Stealth Inc. 2 and The Vanishing of Ethan Carter. No Time to Explain is a pretty funny, yet simple game. Reminded me of a flash game which makes sense since at one point it was. Stealth Inc. 2 is an interesting puzzle platformer. I wasn’t a really big fan of it though. As for The Vanishing of Ethan Carter, it’s a walking sim, with some puzzles. I did love the Lovecraftian style story. 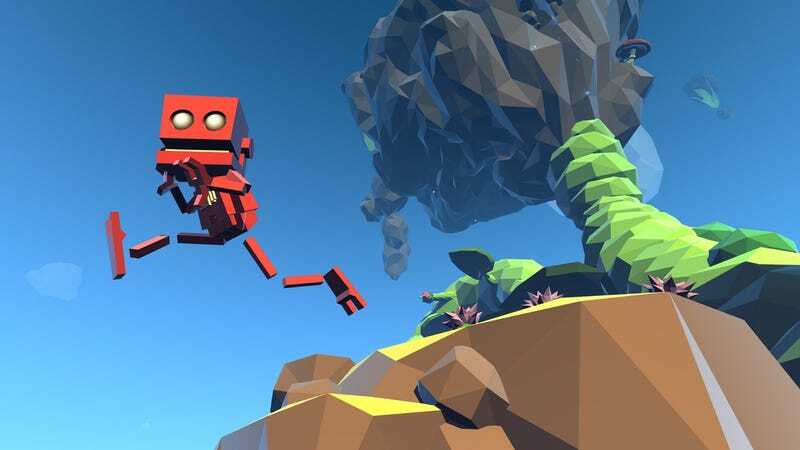 Up next on the backlog grind is Grow Home. I got way back when it was free for PS plus and just never got around to it. I’ve started to play it, and it does have a little charm to it. After finishing that I only have another 200-ish games left to go...sigh. How’s your backlog coming along? What are the standout games in your list? Not a backlog type of person? Then talk amongst yourselves, The Graveyard Shift is open for business.